Our Hurst location is at 1812 Precinct Line Road, Hurst, TX760S4. 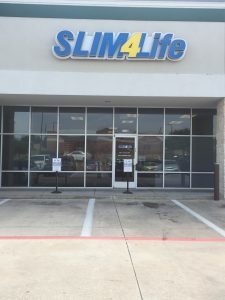 Our Hurst location is a very busy center, located next to Panera Bread and Walmart behind Chase Bank, allowing easy access for our clients.The Manager at our Hurst location, transferred from our Southlake location and has worked for Slim4Life for 8 years. The staff is motivated to help their clients excel in weight loss and complete their program with stabilization and maintenance. They work with their clients to assure everyone is happy, feeling great, losing weight quickly and living the Slim Life. Make an appointment at our Hurst weight loss center today!